BEST SOUTHWEST—First thought a simple mechanical error has made a turn for the criminal. Tuesday morning residents in DeSoto and Lancaster were awakened by blaring tornado sirens. However, there was no rain in sight. The temperatures were in the high 50s and the night sky was overcast. After an preliminary investigation city officials have concluded the disruption was the result of someone hacking into the emergency system and purposely turning on the sirens. 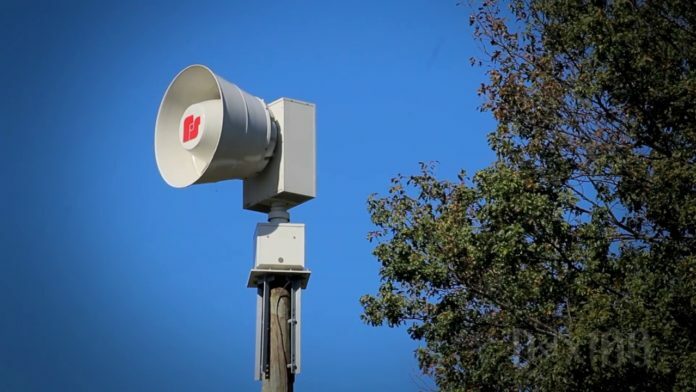 “After consulting with the technical experts who help us to operate the outdoor emergency sirens in our area, and based on the widespread impact to these sirens, it appears that … this action appears to have been intentional,” said City of DeSoto Spokesperson Matt Smith. The sirens per their normal cadence went off and on for over an hour starting around 2:30 a.m. Glenn Heights officials responded to concerns via social media. They note that the outdoor warning system in Glenn Heights was not affected. However, with the close proximity of the Best Southwest cities residents in Glenn Heights heard the sirens as well. Tuesday morning’s public nuisance was not a new idea. These crimes are similar to the April 2017 hacks that sent 156 Dallas sirens going for over 90 minutes. As a matter of fact, the hack did not have anything to do with computers at all it was done by radio. According to reports it’s a tonal-type system, that’s usually controlled by tone combinations used by the Emergency Alert System (EAS) broadcast over the National Weather Service’s weather radio. This suggests that the emergency system could be compromised by outside radio equipment replicating the tonal code required to trigger the alarms. The main purpose of these sirens is to alert people who are outside during inclement weather to seek shelter inside. Once a person is safe inside, emergency officials recommend the most important thing is to secure the most current and accurate weather information possible. The first step should be for all DeSoto residents to sign up for the Code Red emergency weather warning system which was not impacted. This can be found at www.desototexas.gov/codered. The Code Red was activated by city officials Tuesday morning and automated calls were sent out to thousands of DeSoto residents informing that there was no actual danger. Lancaster also subscribes to the Code Red system, http://lancaster-tx.com/AlertCenter.aspx. Then residents are encouraged to visit the National Weather Service Ft. Worth web site at www.weather.gov/fwd or go to the emergency weather radio station NOAA Weather Radio for Texas online www.weather.gov/fwd/radio. Finally, tune in weather coverage specific to the Dallas Area on any of our local news broadcasts. “We strongly advise DeSoto residents to monitor these weather information sources given the potential severe weather overnight tonight and tomorrow,” says Smith. The metroplex geographically sits on the southernmost end of tornado alley. North Texas is the southernmost part of the country known as “tornado alley” due to the disproportionate number of tornadoes that occur within the area. And Tuesday’s incident only serves to reinforce memories of the effects of recent tornadoes that have wreaked havoc on the southwest Dallas County. Last February a tornado damaged approximately 30 homes in the area of South Westmoreland Road and Eagle Drive. Then on December 26, 2015 a F3 category tornado destroyed homes and business along the borders of DeSoto and Glenn Heights. A survey report said 122 structures were impacted. Among those, 32 buildings were totally destroyed. Among those buildings affected the tornado hit the Glenn Heights Police Department building directly. Emergency communications were disrupted and police vehicles were damaged. In April 2012, a tornado struck Lancaster and the southern fringes of Dallas at high-end EF2 strength. Many homes in Lancaster sustained severe damage or were destroyed. Vehicles were moved and damaged, trees were downed, an RV was destroyed, and fence boards were speared into homes. Many remember live video as tornado struck a Schneider National terminal and lofted several semi-trailers high into the air. Over 50 semi-trailers were damaged or destroyed, one of which was thrown into a house. In all 64 homes were destroyed, and 109 others were damaged. There were no casualties, however, 10 people were injured, two seriously. “We will continue to make every effort to safely restore our outdoor siren system and to work with our law enforcement agencies in any follow-up investigations,” concludes Smith.